How could we resist then to mix a bit of his English DNA to his own Japanese bike? 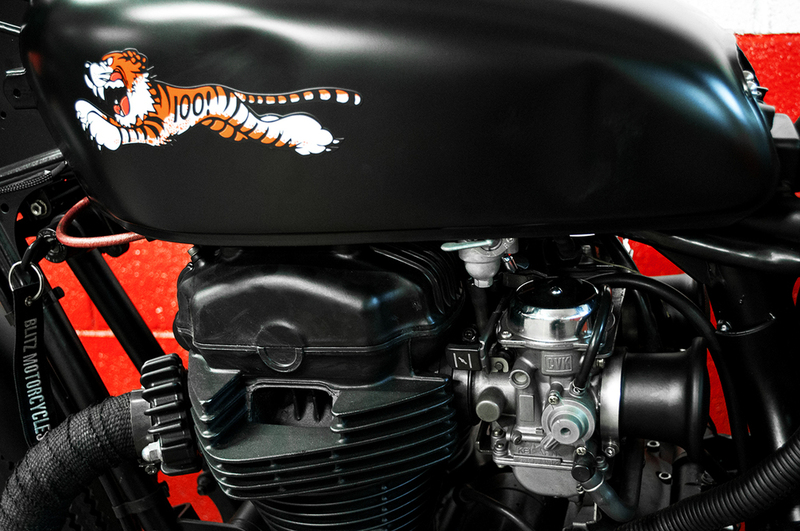 We therefore could not resist: adding the famous Triumph T100 Tiger emblem to the tank we decided to install on this machine. This "El Tigre" is definitely his very bike: they have now a common story. Subframe shortened by 3 inches. 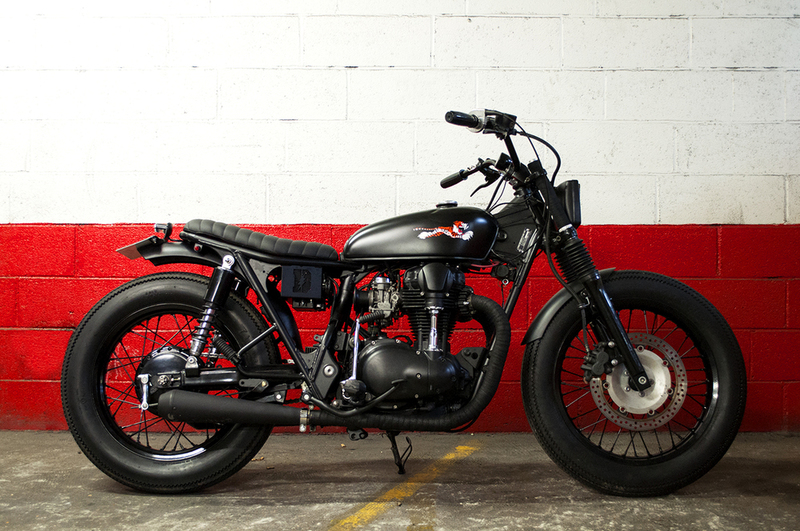 Blitz Motorcycles electric box to fit all the elements. Vintage Honda CB tank matt black painted (still all the dents have been kept: we could not help it). Vintage yellow square headlight coming from a French truck. "Tiny" Motogadget speedometer adapted to the 100% rebuilt electric wiring. 100% bespoke seat designed to fit the shortened subframe. After market rear tail light inspired by the English Lucas tail light. Firestone Deluxe tires (both front and rear). Matt black powder coating of the frame, all crankcase covers and fenders. Blitz Motorcycles mini switches connected to the electric wiring. Bespoke aloy air filters (re-jetting of the carburators). High temperature matt black pairing of the engine.